I recently enjoyed an assignation with Mrs Rembrandt in her home town. She was born in Leeuwarden, the principal town of Friesland in North Holland, and was the daughter of no less a figure than the Mayor. 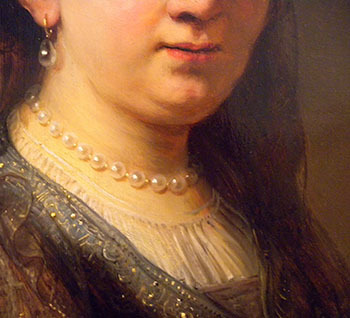 She married Rembrandt aged twenty-one in 1634 and they lived together prosperously in Amsterdam during the years of Rembrandt’s rise to fame. Their time together was but eight years: She was not yet thirty when she died in 1642. 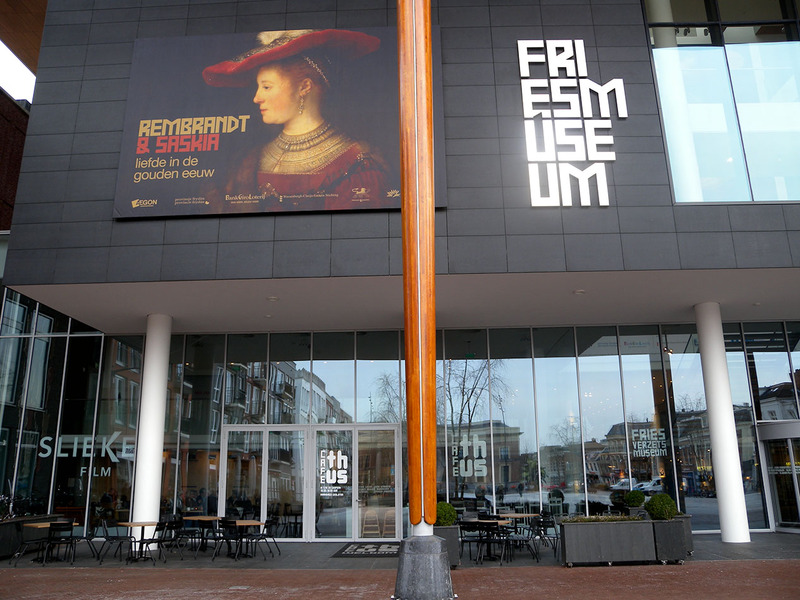 Our rendezvous was the exhibition of ‘Rembrandt and Saskia: Love and Marriage in the Dutch Golden Age’ at the Fries Museum (from 24 November 2018). This is, I have to say, one of the best plotted exhibitions that I have seen. It’s not a blockbuster by any means. In fact it is quite a minor Rembrandt show – just four paintings by him, a few drawings and a dozen or so etchings, with a whole lot of golden age context drawn from the partner museums. But the theme is so strong – Rembrandt’s relationship with his first love and only wife, Saskia Uylenburgh, and the illumination of the social context of love and marriage in the seventeenth century so well chosen, organised and displayed that the result is both enlightening and moving. You can catch it at the Fries Museum in Leeuwarden until 17 March, and afterwards at the Gemaldegalerie in Kasssel, Germany, from 12 April to 11 August. 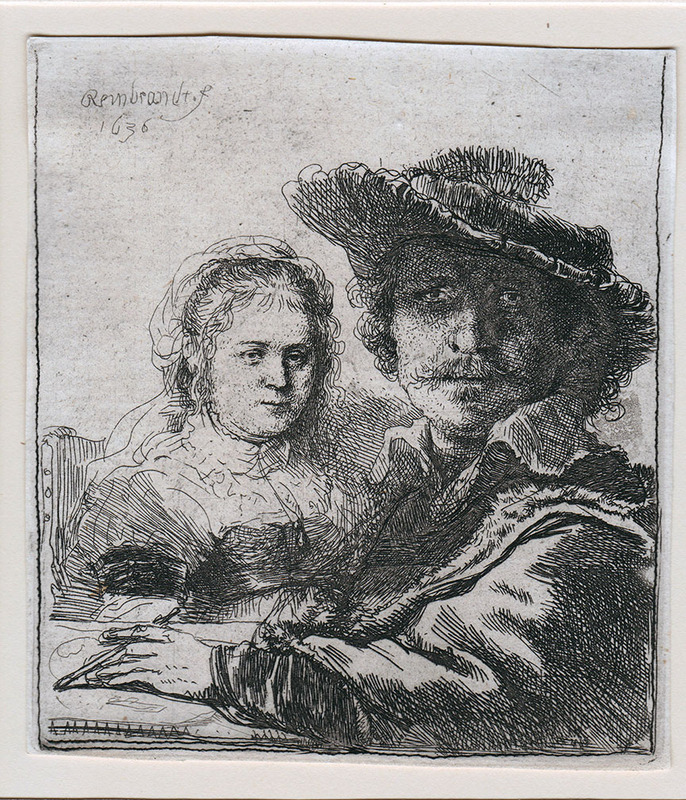 Bought from Hanson’s Auctioneers of Etwall, Derbyshire, at their sale of 29 June 2017 where lot 636 as ‘Rembrandt Harmenszoon van Rijn (1606-1669), Self Portrait with Saskia (B.19), etching, 10.5cm x 9.5cm, framed’. My personal interest in Saskia was sparked by the acquisition a little while ago of a small etching by Rembrandt of a Self Portrait with Saskia, 1636. It cost relatively little, and I bought it mostly as an excuse to learn something about Rembrandt’s etchings. 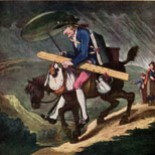 It turned out to be much more substantial that its advertisement, but still more valuable as the starting-point of a most enjoyable voyage of exploration. Sublime sites, it transpires, are not necessarily all topographic. In this case the sublimity is entirely human. This entry was posted on February 1, 2019 by Professor David Hill in Rembrandt and tagged Etchings, Friesland, Holland, Leeuwarden, Netherlands, Rembrandt, Rembrandt van Rijn, Saskia, Saskia van Uylenbugh.